11:00 a.m. Saturday, November 17, 2018. 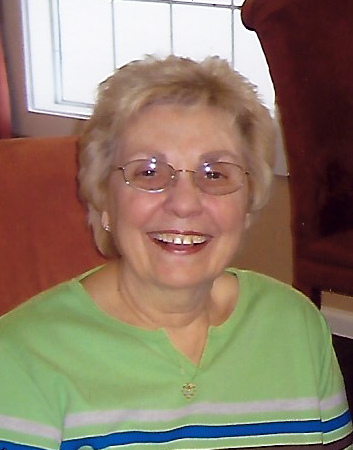 Harriett Louise Carr Reeves, 80, passed away on Thursday, November 14, 2018 at her home in Fort Scott, Kansas. Harriett was born on July 9, 1938 in Fort Scott to Charles Fulton and Dorothy Elizabeth (Swope) Carr. After graduating from Fort Scott High School, she attended William Woods College in Fulton, Missouri for two years then transferred to Kansas State University in Manhattan, Kansas where she earned a Bachelor of Arts degree in Home Economics. 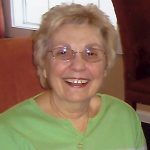 Following college graduation, Harriett worked for the Gas Service Company of Kansas City as a home economist for several years before accepting a job in the Department of Home Economics at the National Livestock and Meat Board in Chicago, Illinois. In her position at the Meat Board, she traveled to schools and businesses throughout the Midwest to educate about the storage, handling, and preparation of meat and also appeared on local television programs to demonstrate techniques to cook tasty and economical meat recipes. During a weekend visiting friends in Kansas City in 1963, Harriett was involved in a minor traffic accident and also met her future husband. After the accident, she was taken to the University of Kansas emergency room where senior medical student Charles Stewart Reeves treated her injuries. They were married in Fort Scott 2 years later on June 5, 1965. Harriett is survived by her husband, Charles Stewart Reeves; daughter, Catherine Carr Reeves and her husband Joe Kilanoski; daughter-in-law, Tally Reeves Madison and her husband Tom Madison; four grandchildren, Hannah, Emmah, Hunter and Hollis Reeves; uncle, Gerald Swope; and many cousins. Harriett was preceded in death by her parents, Charles Fulton and Dorothy Elizabeth Swope Carr; son, Charles Hunter Reeves; uncles, Donald L. Swope and Eldon Swope; and aunt, Cleo Leterle. Following cremation, Rev. Dr. Jared Witt will conduct memorial services at 11:00 a.m. Saturday, November 17, 2018, at the Konantz-Cheney Funeral Home. Interment will be at a later date at the Fort Scott National Cemetery. The family would appreciate contributions in Harriett’s memory to the Richard & Annette Bloch Family Foundation. Memorial contributions may be left in the care of the Konantz-Cheney Funeral Home, 15 W. Wall Street, PO Box 309, Fort Scott, KS 66701. Condolences may be submitted to the online guestbook at konantz-cheney.com.